Amazing news! We’re double gold award winners at the Beautiful South Awards !! 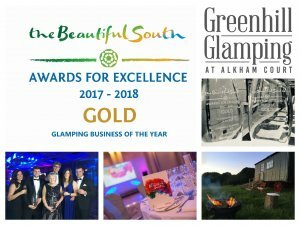 Winners of best Glamping Business of the year and best Bed & Breakfast of the year!! The awards are organised by Tourism South East and covers businesses in the South East region and we now go forward to represent the South East at the national awards held by VisitEngland.